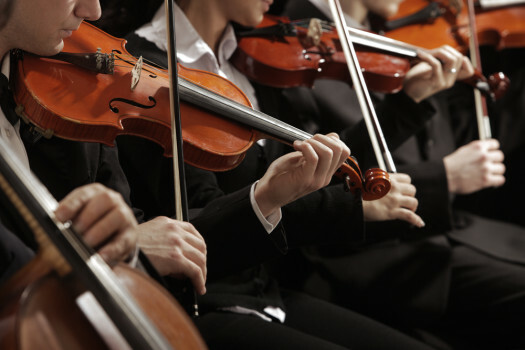 Throughout the many years of operation, the South Florida Youth Symphony has been a pathway to success, both in the music world and in life. Here are just a few examples of the influence the SFYS has had on some former members. I will never be able to adequately express my gratitude, and I would not be where I am today, without the wonderful encouragement and training received from the SFYS. Hi all! My name is Rob Hill and I use to play in the SFYS back in 87 to 88 I want to say. I was in 9th grade at the time and played in the percussion section. Mrs.Hahn was the conductor at the time and her daughter Hillary played violin while I was there. We went to Southwood Jr high. Does anyone have any audio or videos of those performances? That was a wonderful time in my life and I was so proud that and many of my relatives came all the way to NY to see us perform. It was truly an experience that I and my family will never forget. I just remember how everyone was dedicated to making us the best we could be. The parents that drove us there, the staff, the section leader and all the musicians in the group were great and we practiced about 3 hours every Sunday plus playing in our jr high or high school music programs. We sure had some solid talent in the group! Enjoy music, support it, support children who want to play the drums,,,LOL! Music is transcendent! I had never performed with strings. I learned a lot about bowing and the importance of the first chair violin player. I learned that as cool as real classical music is, it can be very boring for wind players. Many, many measures of rests and getting lost counting them almost always happens. I have made friends that I still talk to more than 10 years after I left. I am a music teacher and I learned a lot about music with the Youth Symphony. Bernard Chang - best stand partner ever...that was some epic page turning, Bernard...Anna Lampidis - our Bach Double Concerto for Oboe/Violin...trips to Carnegie Hall and the Cayman Islands...and so many more- I can't really capture 9 years in 3 minutes...but I'll add more as I think of them!